A Muslim migrant boat captain who killed six Christians by throwing them overboard is facing a murder trial in Spain over his deadly actions. The Telegraph reports that the Muslim captain, identified as Alain N. B. from Cameroon, blamed Christian passengers for the onset of a storm during a 2014 crossing from Morocco to the southern shore of Spain, and punished them by throwing them overboard. The boat, one of many that have been transporting thousands of refugees across dangerous seas to Europe, was reportedly carrying 50 sub-Saharan migrants on the fatal journey, witnesses said. Alain N. B. was of the belief that "the weather worsened every time the victims prayed," reports noted, and along with his second in command, another Cameroonian man who has since died, beat one Nigerian pastor for his prayers, before throwing him overboard along with five other Christians. The public prosecutor told the court in Almería that the captain "was aware that the victims could not possibly survive and that they would die, either by drowning, from the cold, or from the physical injuries they had suffered. He was aware of the low temperature, the rough seas and the great distance from the coast and the absence of any nearby boats which could rescue them." The prosecutor has asked for a 90-year sentence to be handed down to Alain N. B., amounting to 15 years for each of the six victims. Christians have been threatened and harmed by Muslim attackers on several occasions during such boat journeys. Christian refugees formed a human chain back in April 2015 to stop Muslims from throwing them overboard near southern Italy. Twelve Christians died during that attack. "The motive for the resentment was traced to their faiths," police in the Sicilian capital Palermo said at the time. "Twelve people are said to have drowned in the waters of the Mediterranean, all of them Nigerian and Ghanaian." 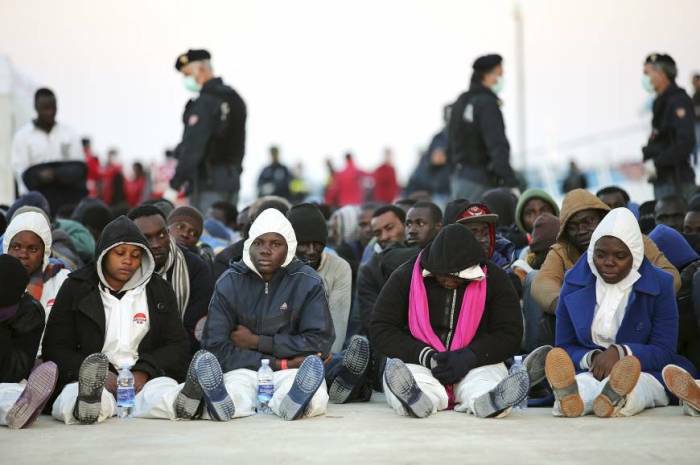 Fifteen African men from the Ivory Coast, Mali and Senegal were arrested by Italian police for throwing Christians to their deaths. The U.N. refugee agency pointed to statistics that show migration from north Africa to Europe jumped more than three times in 2014, fueled largely by economic crises and fears of terrorism.